See more objects with the tag personal, rounded, communication, entertainment, offices, brightly colored, writing, work, contrast, portable, correspondence, smooth, bold, playful, plastic, innovative, electronics, making, white plastic. This is a Laptop computer. 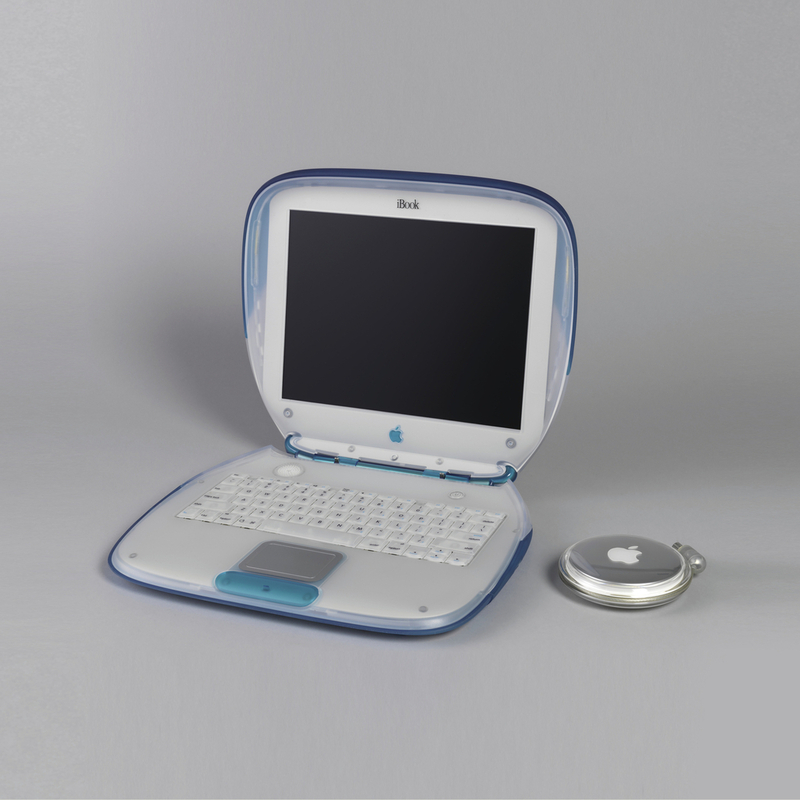 It was designed by Apple Industrial Design Team and manufactured by Apple Inc.. We acquired it in 2001. Its medium is plastic, electronic components, metal. It is a part of the Product Design and Decorative Arts department. This object was featured in our Object of the Day series in a post titled Think Different. This object was donated by Apple Inc..